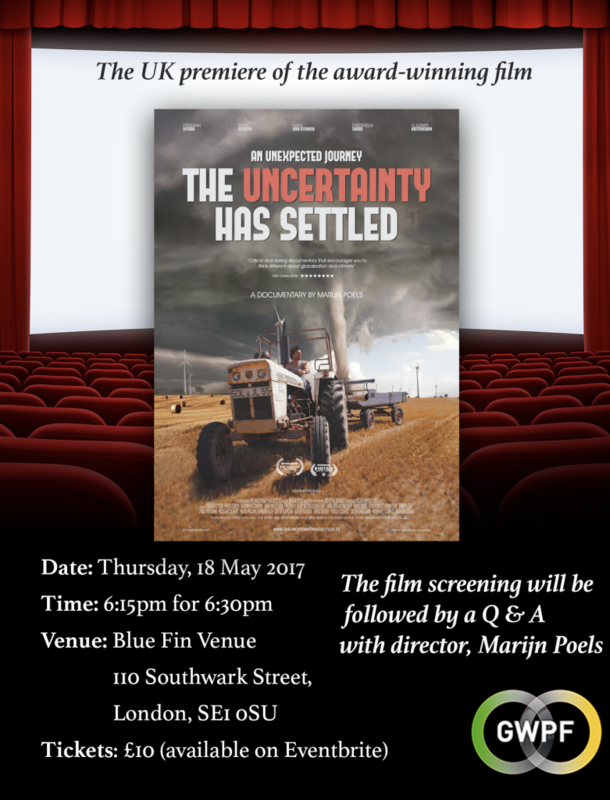 The Global Warming Policy Foundation is proud to announce it will screen the UK premiere of the award-winning film The Uncertainty Has Settled in London on 18 May. After eight years of travelling through conflict and poverty zones, Marijn Poels – a left wing filmmaker/journalist – decides to take some time off. In the Austrian mountains no less. It confronts him unexpectedly with the roots of agriculture and its modern day perspective. Globalisation and climate politics are causing radical changes such as farmers becoming energy suppliers. But the green ideology raises questions. The scientific topic of climate change has now become incontrovertibly a matter of world politics. Poels faces a personal conflict. Are we doing the right thing?